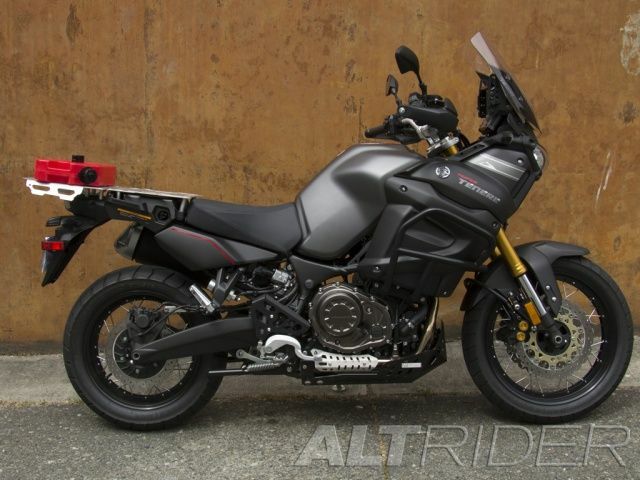 Yamaha has made serious name for itself in the ADV world with the incredibly capable and well-equipped Super Tenere. Make your XT1200Z even more versatile with the AltRider Luggage System. The AltRider Luggage System is constructed from high-strength 3/16 inch (4.8 mm) aluminum in anodized silver or black finish. 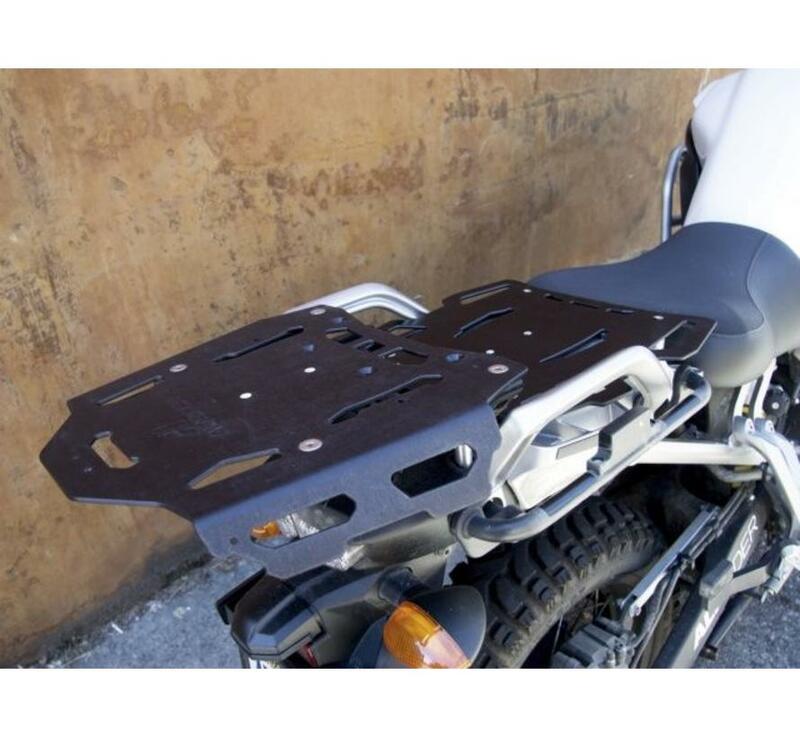 The Rear Luggage Rack is compatible with Givi Monokey Top Cases (requires mounting kit – sold separately). 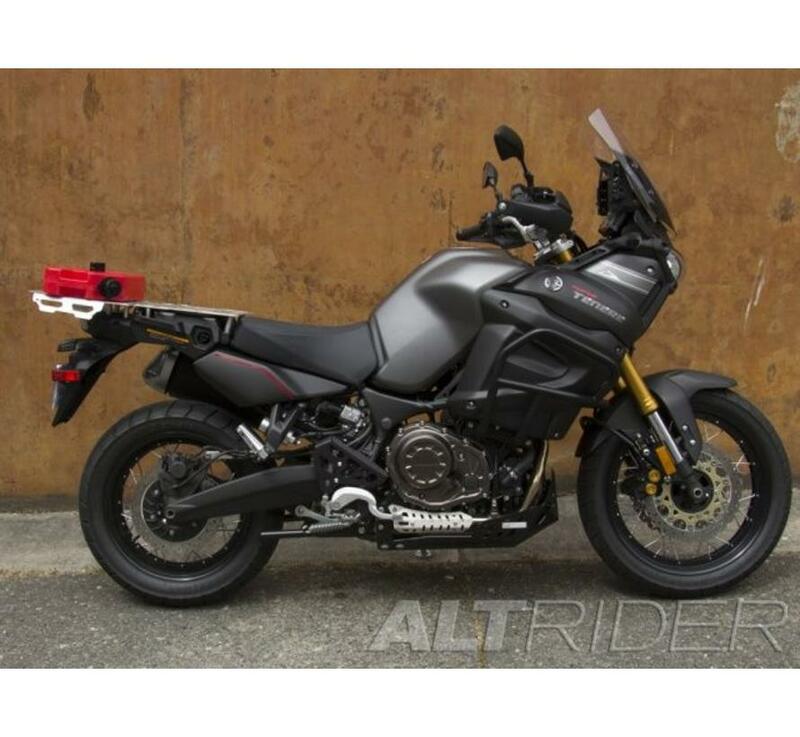 Both the Pillion Rack and the Rear Luggage Rack interface with RotopaX fuel packs and RAM mounts. 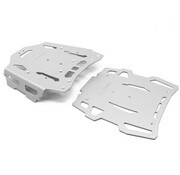 The entire luggage system was deliberately designed with a variety of cut-outs to allow plenty of mounting points for bungees or straps – ensuring you’ll have no problem keeping your luggage secure. 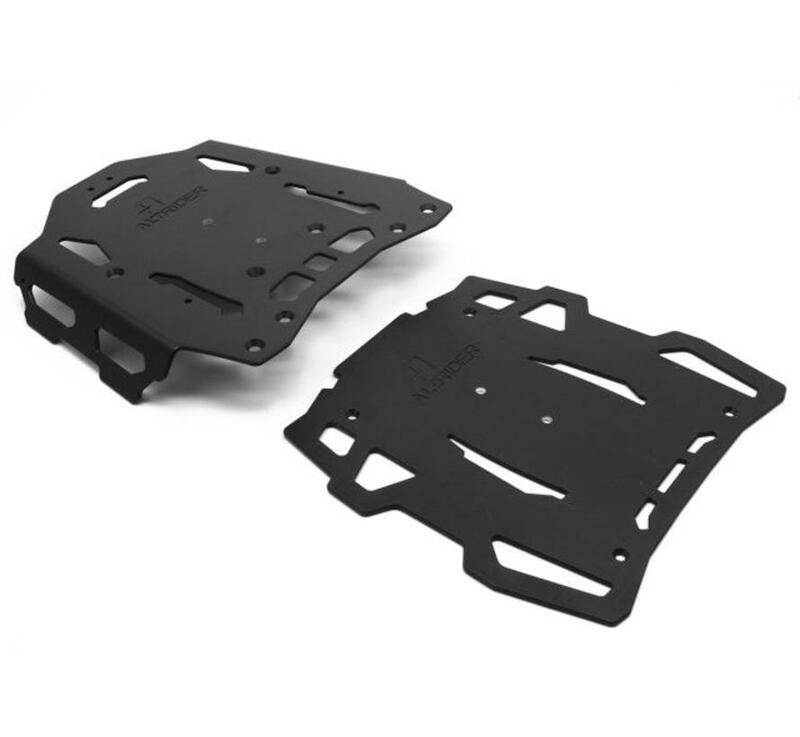 The AltRider Luggage Rack comes with an aluminum mounting bracket which replaces the stock plastic mounting bracket and greatly increases the rack’s capacity. This design creates a cubby between the rack and the bracket that is roughly 8.5 inches (21.6 cm) x 6 inches (15.2 cm) x 3 inches (7.6 cm). Create a door with a bungee cord or ROK straps to make it a perfect glove box to stuff items in without the need to secure them. 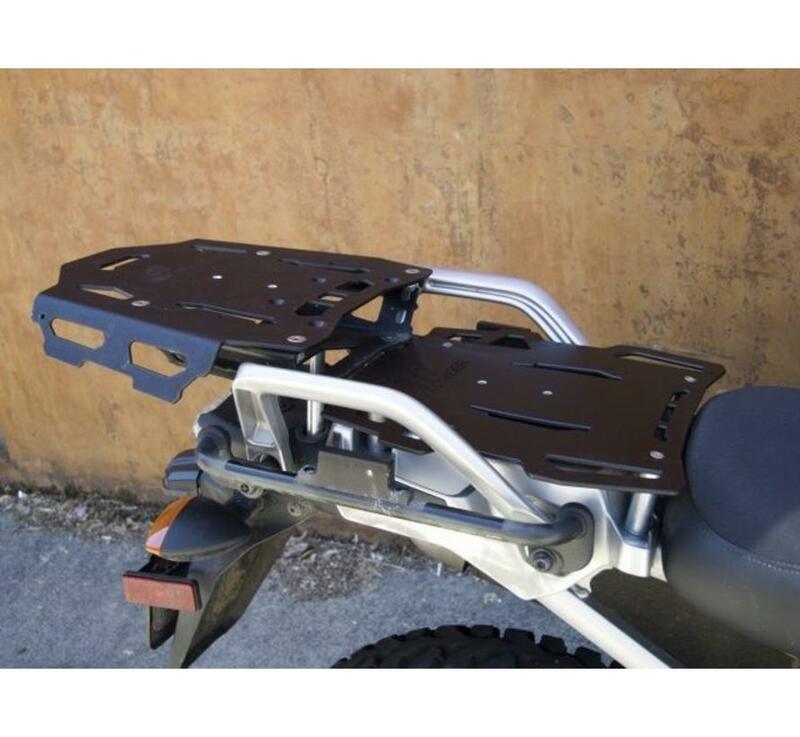 Click here for a full description of the Rear Luggage Rack. 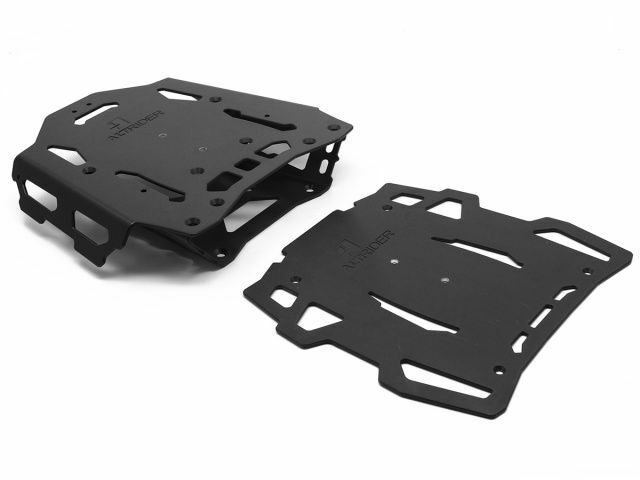 The AltRider Pillion Rack is simple to install – simply remove the stock pillion seat, and use the supplied bolts to attach the rack. 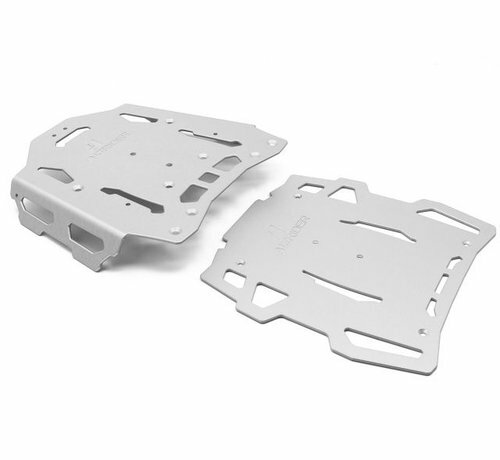 All hardware is entirely recessed – creating a completely flat luggage mounting surface. 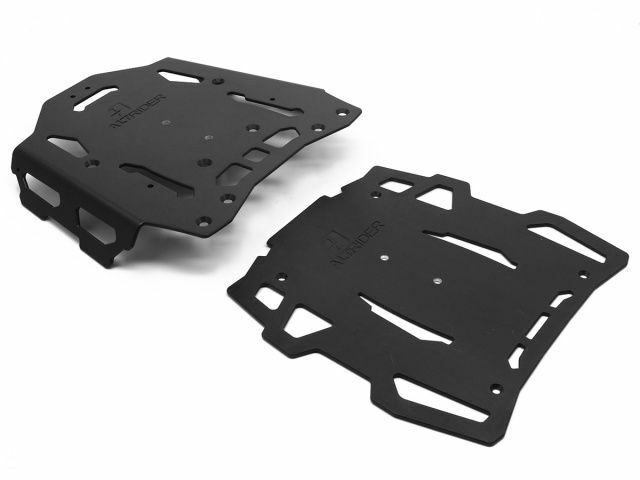 Click here for a full description of the Pillion Rack. The AltRider Luggage System is the most versatile option on the market – allowing a multitude of configurations based on your capacity needs. 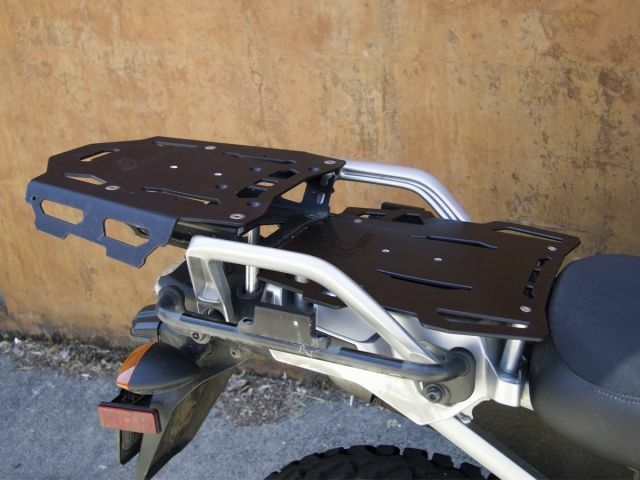 The Rear Luggage Rack can be mounted in an upper or lower position (lower position requires removal of stock grab handles). 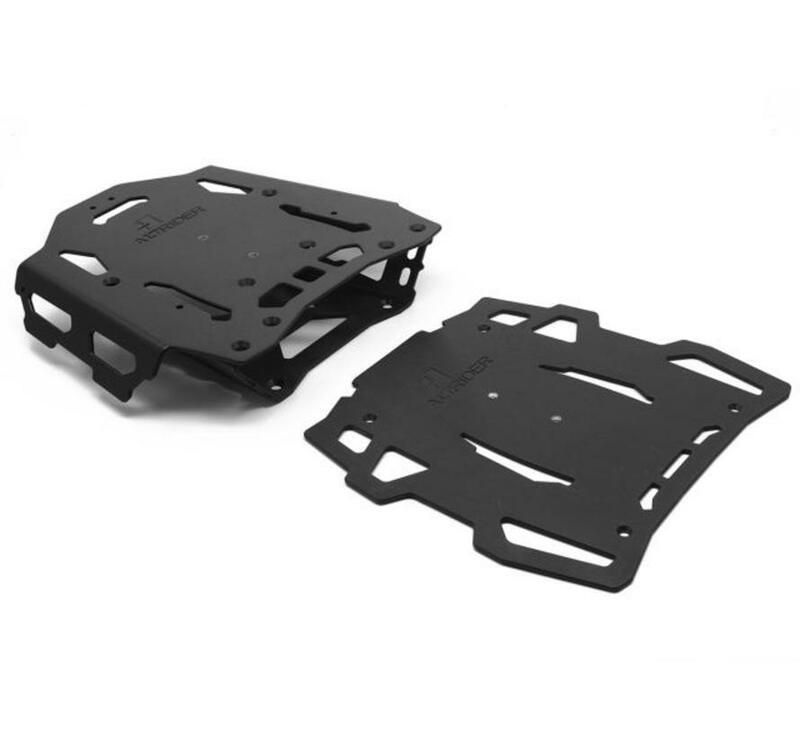 Use the Rear Luggage Rack in the lower position with the Pillion Rack to create over 2.5 square feet of completely flat mounting surface. 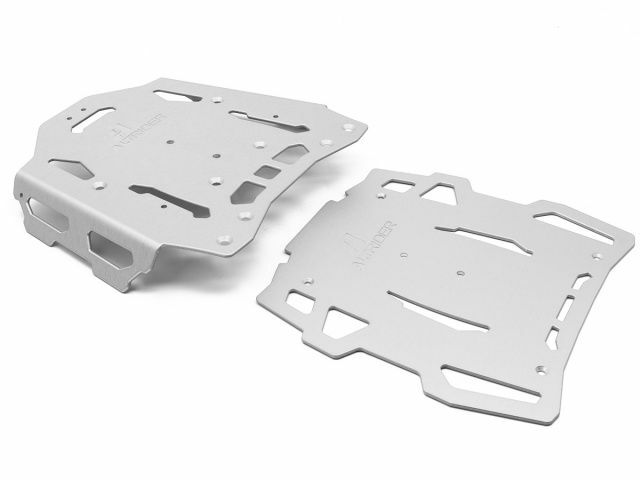 All hardware is fully recessed, and every edge is laser cut and CNC-routered to ensure a smooth corner. 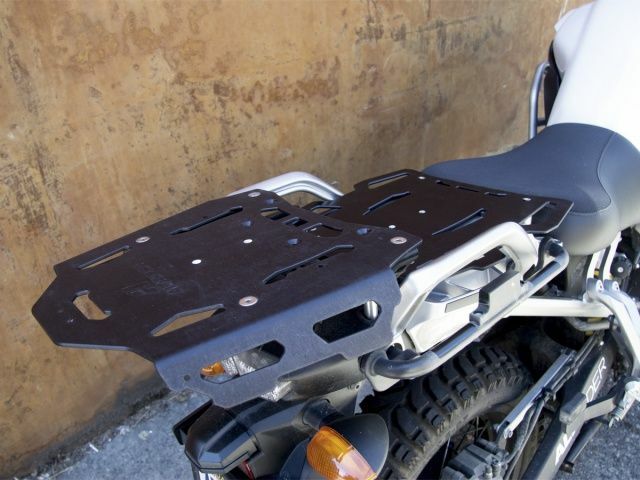 AltRider Luggage Racks are deliberately designed with function and simplicity in mind. See more about the design process in our blog post Hooked: How We Developed Our Luggage Racks.